We had quite the busy weekend happen with so many opportunities to get involved and active in the LGBTQ community! 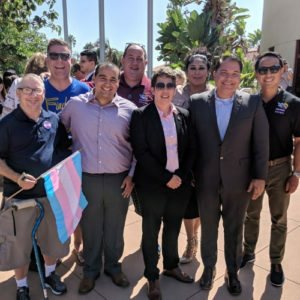 South Bay Pride had their kick off and on Friday afternoon Pride staff & volunteers took a trip over to Chula Vista City Hall to help cheer on South Bay Pride as they City of Chula Vista raised the Pride flag in honor of South Bay Pride. 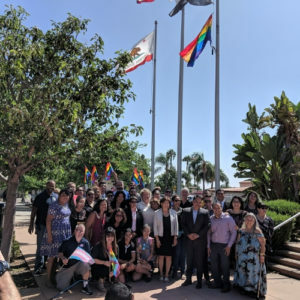 It was a historic day in San Diego and Chula Vista history as it’s the first time the Pride flag was flown at Chula Vista’s City Hall. It was a great way to kick off the weekend right! 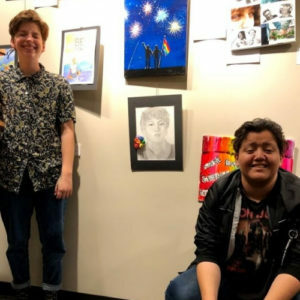 Then on Friday evening the Repertory Theater in partnership with San Diego Pride hosted OUT at the Rep. Art of Pride hosted a pre-show reception showcasing LGBTQ art. 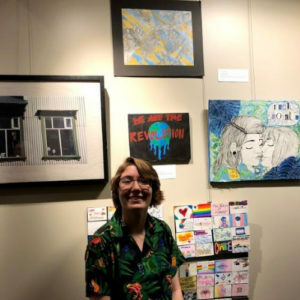 Artists included John Keasler, Patrick Stillman, and other LGBTQ local artists including our very own Pride youth artists. Attendees, art lovers, and artists then enjoyed an amazing performance of Fun Home. Saturday morning was a busy one with so many Pride family members representing our community. On Saturday morning we hosted our monthly Lunch Bunch where LGBTQ youth hang out at Pride where we talked about back to school season and enjoyed grilled hot dogs, hamburgers, and each other’s company. 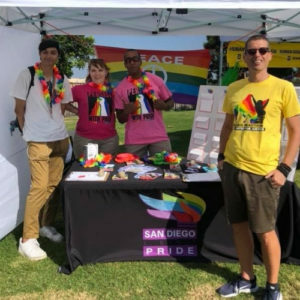 While our youth enjoyed hamburgers and hot dogs at the office, South Bay Pride was in full effect! We had our team out there saying hi to the thousands of people attending as well as giving out some raffle prizes. 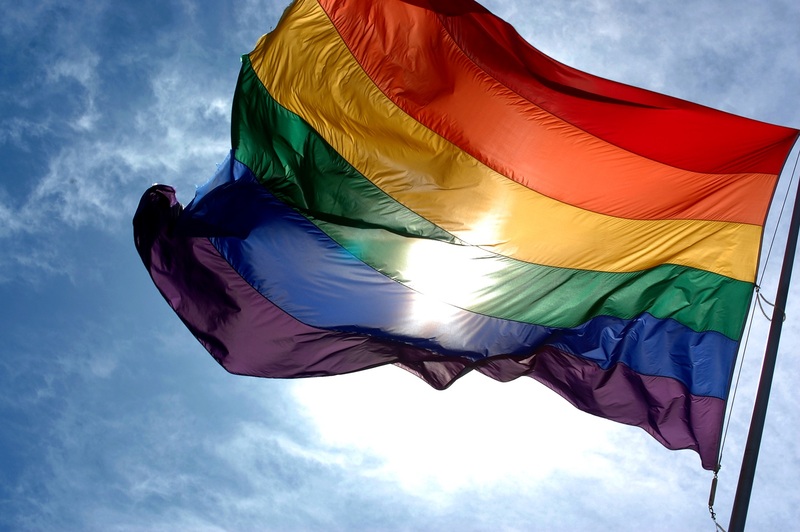 Don’t forget to see us at Pride By The Beach, Imperial Valley Pride, and Palm Springs Pride. 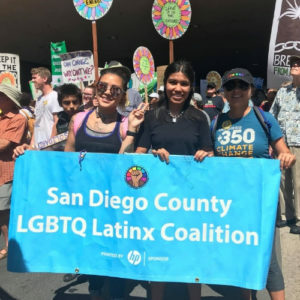 The San Diego LGBTQ Latinx Coalition represented our community at the Climate Action March. 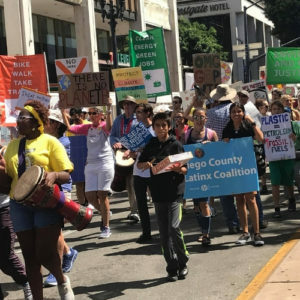 They joined thousands of San Diegans who stand with climate advocates worldwide! 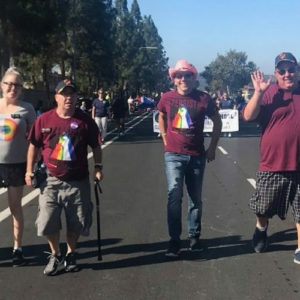 Lastly, our Programs Manager Bob Leyh and other volunteers joined Trans Family Support Services, PFLAG, and the San Diego Chapter of the Human Rights Campaign (HRC) at the 54th Annual Poway Days Parade making sure that LGBTQ families and friends were represented in Poway. 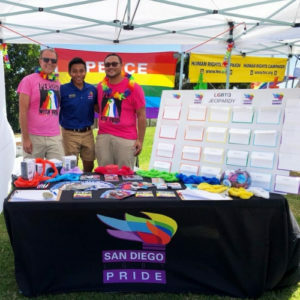 There’s so many ways to get involved and stay involved with San Diego Pride. In the next few months we’ll have an art show, holiday parade, a #MeTooLGBTQ mixer, and a youth leadership academy. Head to our events page to find more events happening in your community and make sure to sign up for our newsletter to stay up-to-date.